What a cool shot of the moon! On July 31, 2015 we experienced a second full moon in one month…called a blue moon. 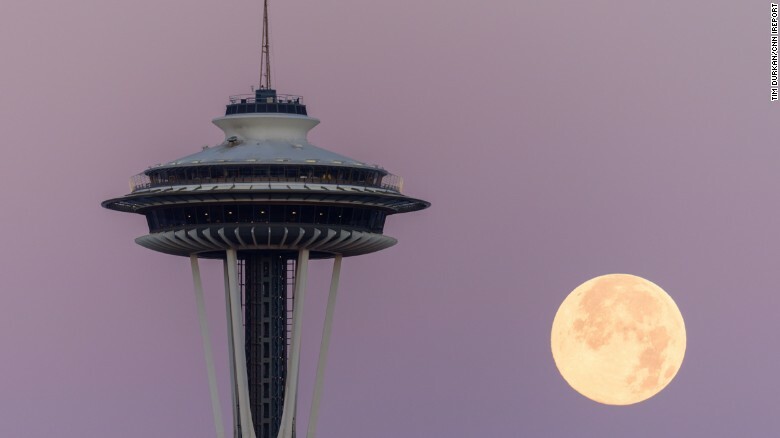 Washington photographer Tim Durkan capture this gorgeous shot of that very blue moon next to Seattle’s Space Needle. I love how this photo captures both human-made and organic-made mandalas…and how they can easily share the same spotlight. It’s also an intriguing example perspective and illusion. 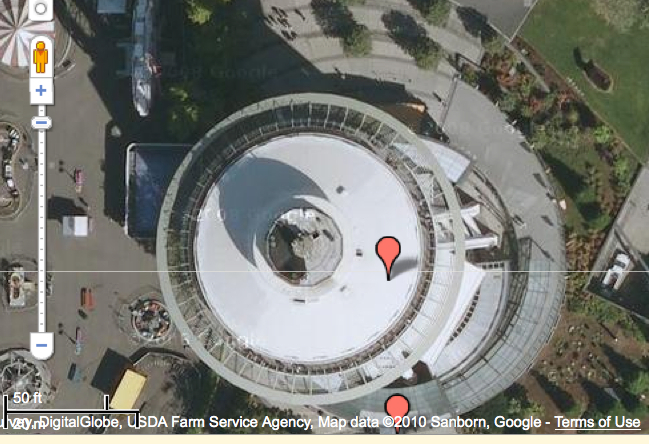 Years ago I went up the Space Needle…what a ride…what a view…luckily the weather cooperated that day. I highly recommend the visit. For those with height issues…it may prove to be a bit daunting, especially the ride up/down since the elevator is on the outside and you can see out through its windows as you go. Today’s MotD inspires us to play with mixed media when creating mandalas…it can make the result a lot more interesting.